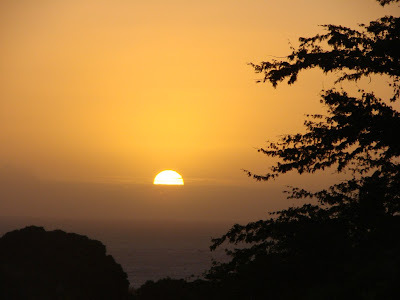 The sun sets into some clouds just above the Pacific Ocean just a the year 2011 winds down to a close. I hope 2011 has been a good year for you. Now all thats left is to sit back and enjoy the final moment of the year and look forward to another great year. Happy End of the Year everybody! Finally a write I couldn’t resist featuring. Those that know me know that I can’t resist a nice tempting sweet… and this is a whole wreath of them. 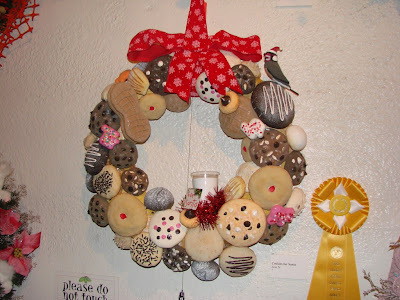 Json N created a wreath called “Cookies for Santa” and won the Judge’s Choice Award at the Honolulu City LIghts Wreath contest. The wreath looked good enough to eat… speaking of which time to hit that Christmas baked goods stash for another cookie. Okay the Honolulu Police Department wouldn’t let me end the the holiday series without showing their special Lilo and Stitch tree at the Honolulu City Lights Display. 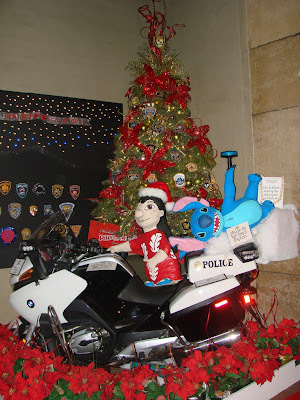 Complete with a HPD motorcycle and Lilo and Stitch spreading Christmas cheer. So if you notice any hijinks in President Obama’s motorcade this holiday season be on the lookout for Lilo and Stitch.